The Woodlands Arts Council’s mission is to provide regional cultural and educational enrichment opportunities to encourage, support, and promote the performing and visual arts. Our Goal is to enhance our community and the lives of our residents and children though the arts. We believe the arts can open the doors to our minds, strengthen character, heal the body and foster an appreciation for all cultures. Studies have shown that the promotion of arts also results in significant increases in property values, revenues and jobs. 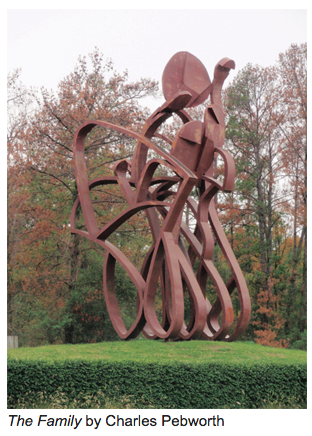 Did you know The Woodlands has more public art per capita than any other community in the United States? We have over 36 pieces of art residing in the public domain and another 30 plus pieces residing on private property. The problem is…too few people know this amazing fact and too few Woodlands residents talk about our art or know the history of our art. 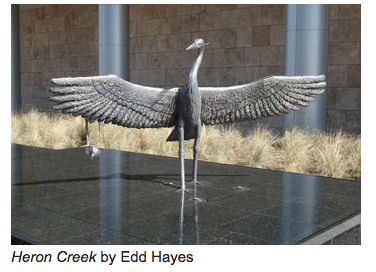 Beginning with The Family, a sculpture acquired for The Woodlands’ grand opening in 1974, The Woodlands Development Company has embraced the arts as a mean to enrich our community from our very beginning. We are grateful to live in a community where art is one of our founding pillars of excellence. But Art is not merely a physical object. Art demands engagement. This begs the question: if an artist makes a piece of art and no one talks about it, is it art? Some would say no because they believe the gaze of the viewer upon the object is what transforms the object…from merely an object, into art. If you follow this course of thinking, then we have a tremendous amount of work to do in The Woodlands – getting people to engage with the vast collection of public art we have around us. With its ability to memorialize and celebrate life, I believe, as many others, that art can have a profound effect on people. Our Art Bench initiative is an example. There are myriad stories about the positive impact and community value the Art Benches have had on its residents. Community art is important, free and for everyone. It reaches residents and visitors outside of pay-to-see art venues like museums, theaters and private collections. Our Art Bench Collection is a mirror image of the community at large reflecting who we are: a diverse people; and what we like to surround ourselves with: diverse works of arts from artists from all over the world. The Woodlands Arts Council’s successful community Art Bench Project began in 2015. We have now installed 14 such artworks, and an addition of another six Art Benches are underway to be completed in the summer of 2018. Commissioning community art offers The Woodlands Arts Council a way to participate in the planning, design and creation of our communal spaces. It is a gift from the community to the community itself. The Art Benches are ultimately selected and funded by residents or businesses, our underwriters, located within The Woodlands. This process instills a sense of pride in the Art Benches themselves – they are from the people and for the people. How does our commissioning process work? Once locations are selected and funding is secured, a call for artists is promoted through various arts organizational websites, encouraging any artist to submit their designs and qualifications. 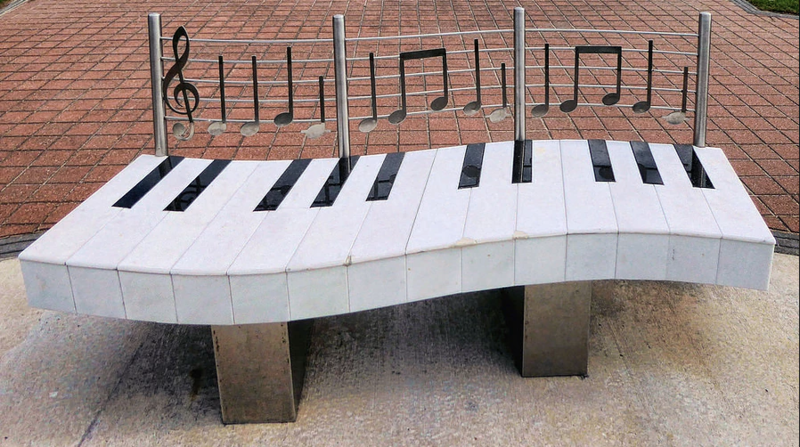 Video and still photos of proposed bench locations are provided to artists to draw upon their creativity in formulating their designs. Vision statements crafted by each Art Bench Underwriter are provided to assist each artist in designing a bench appropriate for the site. The submission phase lasts for 60 days. After this time, the Art Bench Committee reviews qualifications and narrows the field down to three artists per bench. Another 60 days are allocated for the final design phase and submission. 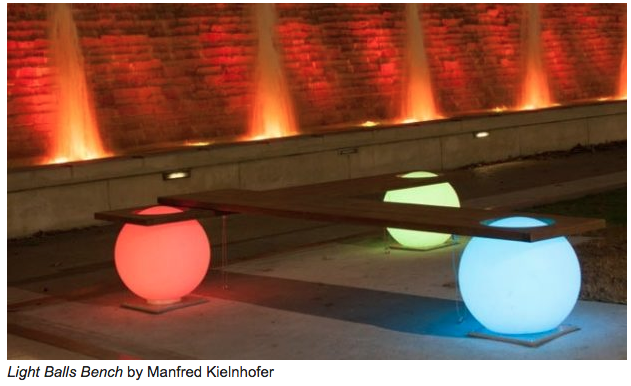 At that time, the Committee and Underwriter selects the final artist and their design for each bench location. Why do we focus on national and international artists versus just Texas or even Houston-based artists? This is a question I often hear. As with the artists chosen to display their art at our Woodlands Waterway Arts Festival, we believe art has no boundaries. We are only interested in procuring the highest quality art for our community. The Art Bench opportunity is open to local, regional, state, national and international artists. We actively advertise our Call for Artist locally, regionally, nationally and internationally. We do not exclude anyone based on geography. Currently, we are in the midst of Phase 3, which will culminate in the installation of an additional six art benches in the fall of 2018. Four of these benches are expanding to Hughes Landing, while two benches will be installed along the scenic Woodlands Waterway. Concurrently, we are also embarking on Phase 4 which will include six additional art benches to be installed in the fall of 2019 within Hughes Landing. We are currently seeking underwriters for Phase 4. Interested underwriters, may contact Wendy Paynter, Development Director, at wendy@thewoodlandsartscouncil.org. We also conduct guided wine and cheese tours of our Art Bench Collection. Those interested in our 2018 schedule, may contact Wendy Paynter, Development Director, at wendy@thewoodlandsartscouncil.org. Mike Bass is Executive Director of The Woodlands Art Council.